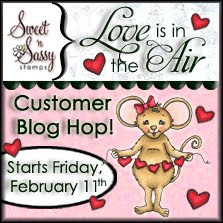 In honor of Valentine's Day, Sweet 'n Sassy Stamps is hosting their FIRST customer blog hop. The theme this month is "Love is in the Air". You can find all the details here - maybe you'd like to play along too! My card isn't super Valentine-y, but it is love-themed! The main image is from the Poppies and Greetings set.... poppies are sentimental to me because California is HOME, and we have some sweet family memories of driving out to see the wildflowers before we moved overseas. Instead of coloring in a black-outlined image, I stamped the image in Yellow Ochre chalk ink and watercolored using Inktense pencils. The sentiment comes from the Birds and Roses set. In the close up you can see the poppies better - I cut along the edges of some petals and embossed from behind to give the piece more dimension. There are yellow microbeads in the flower centers. You can pop over to the Sweet 'n Sassy blog to find a list of all the hop participants...... thanks for stopping by! Beautiful card Dina, I love ho you made the flowers pop. Very pretty!!! 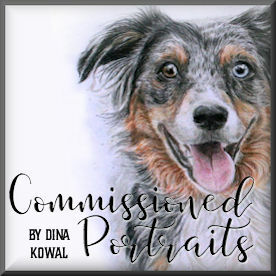 This is so beautiful, Dina!! Your coloring is exquisite!! Thanks for hopping along with us today! Oh, my...this is just gorgeous! I love the way you popped up those flowers! Truly stunning - wow!!!! Those flowers are just amazing! What a great card, love your color combo! Very pretty! Love what you did with those flowers! Love your technique to pop up the flowers! California Poppies are very pretty and your card is gorgeous. Love how you used this stamp set!! Beautiful card. Love all the layers. I hope you don't mind, I have an award for you on my blog. Just realized that you changed your blog format a little and no longer have your question box on the right side. However, I do have a silly question! :) When you die-cut your stamped images and have portions of the stamped image outside of the die...how do you achieve this? Are you cutting around the edge of the flower petals and folding the paper back before you die-cut the image, or are you cutting an extra piece of the stamped image out and gluing it down on top of your larger stamped image...? I have seen you do this a lot. If you would like to answer me I will leave my email address. I normally come to your blog during Impression Obsession Challenges and catch up on what I have missed since the last challenge. I have only been stamping for less than a year so I am still pretty new. 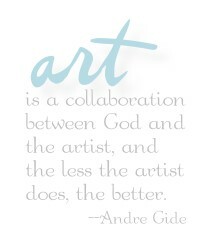 I have seen Mitra a couple of times as I live in VA also and I have mentioned how much I like your work to her. She said that shipping costs are expensive (to send things to you), but it is definitely worth it! Anyway, hope you get this message.